After visiting the award-winning holiday light show “Illumination” at the Morton Arboretum outside of Chicago a couple of years ago, Descanso Gardens asked lighting and visual design group Lightswitch to create and realize a new winter nighttime experience designed to attract guests and increase the popularity of the historic Southern California botanical gardens. 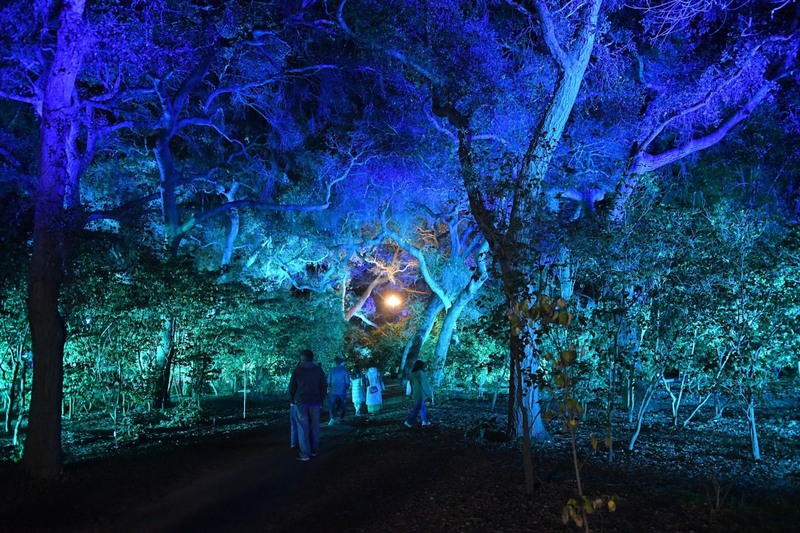 This year marked the second year Lightswitch has designed “Enchanted Forest of Light” at Descanso Gardens and the fifth year of “Illumination” at Morton Arboretum, creating visually stunning and memorable experiences using a bevy of Elation Professional fixtures, including the company’s award-winning IP65 -rated Proteus™ arc-source moving heads. Lightswitch was responsible for lighting design and creative direction for “Enchanted Forest of Light” and Lightswitch Principal Chris Medvitz, who is based in the LA area, was instrumental on the project. “Descanso Gardens was drawn to what [Lightswitch Principal] John Featherstone had created for “Illumination. ‘Enchanted’ was inspired by it and we had a similar creative objective,” he said. 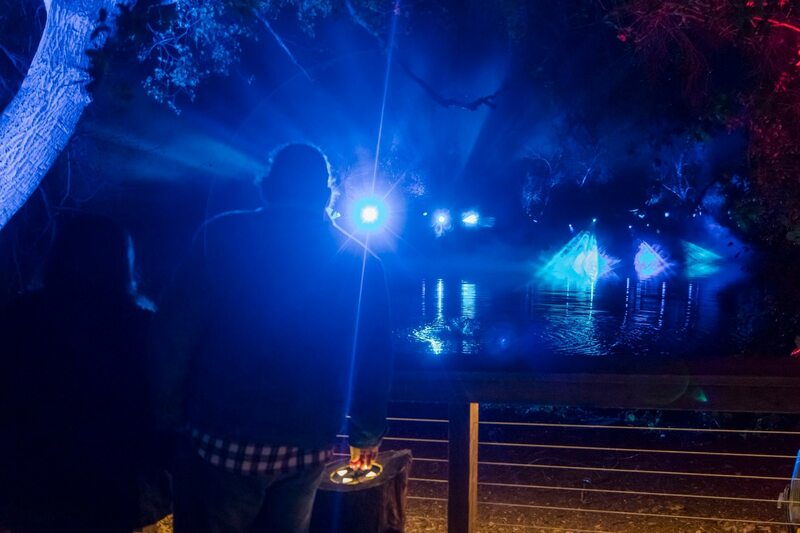 4Wall served as the preferred lighting vendor for “Enchanted Forest of Light,” providing all rentals, sales, systems integration and production management, labor and support services, all working under the direction and supervision of Chris Medvitz and Lightswitch. Descanso Gardens is a 150-acre botanical gardens located in La Cañada, California, a short drive from downtown Los Angeles. “Enchanted Forest of Light,” which debuted last year as the first show of its kind on the West Coast, is a one-mile, nighttime walk through colorful and dazzling lighting displays. The sensory-stimulating nighttime event immerses guests in the beauty of the gardens through light, sound and music. A combination of art and nature, the lighting displays created by Lightswitch are dynamic and constantly shifting with half of them interactive to encourage guests to touch, move and engage with nature. “We worked closely with Descanso for more than a year to develop an experience that was tailor made to its unique geography and collection of flora,” Medvitz says. The “Enchanted Forest of Light” experience was organized into ten separate zones with Proteus Hybrids incorporated into two areas. 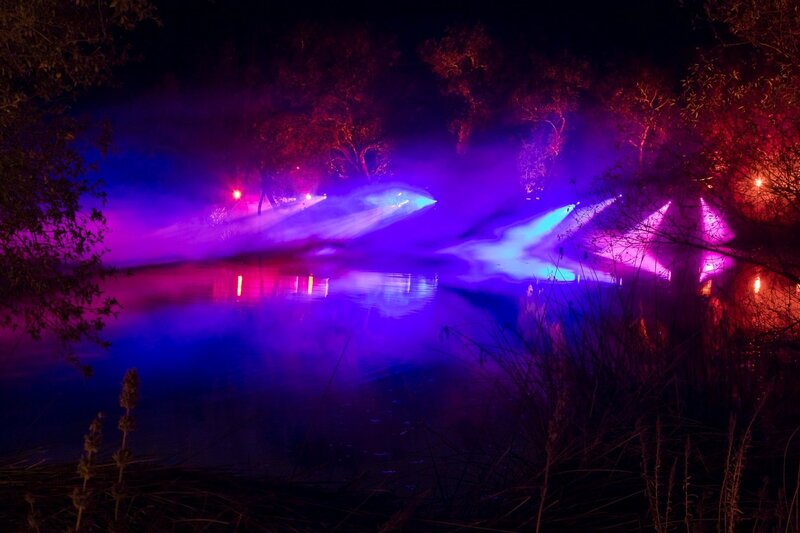 At “Lightwave Lake,” a reservoir surrounded by trees and wildlife, Proteus fixtures were located on the far shore and used to create a dazzling light display of sweeping beams that projected across the water and reflected off its surface. Guests could interact and control the environment using joysticks that triggered cues to move the Proteus fixtures (pan and tilt) while gobos looped and colors changed. “Guests love to interact with the environment and you can imagine the workout the Proteus got,” Medvitz comments. “But they held up great. It was a simple setup but we learned from interactive environments at Morton Arboretum that simplicity works best and the interactive aspect was a big hit.” Also, trees surrounding the reservoir were lit in impactful shades of saturated color using Elation SixPar Z19 IP™ LED Par wash lights, which guests were able to color manipulate via interactive stations. Perhaps the most magical area of “Enchanted Forest of Light” was the “Ancient Forest,” a popular area with species of plants that existed millions of years ago. Dramatically lit with accompanying soundtrack and fog atmosphere, “Ancient Forest” crafted an ambiance that was a feast for the senses and truly otherworldly. “It was not interactive but so full of color that people often commented it looked like a scene from the film Avatar. A row of Proteus Hybrids lined the back of the location and projected gobo patterns and moving beams, a creative layer of motion on top of it all. The Proteus fixtures were rock solid and I expect we will have more fixtures on next year’s show,” Medvitz concluded. A third area, “Fantasy Forest,” featured a chandelier, glowing archway and illuminated gazebo surrounded by hundred-year-old oak trees and thousands of camellia plants. Dozens of LED fixtures were programmed to an ambient time-coded music track, including SixPar Z19™ fixtures used to uplight the trees and Elation SixBar 1000 IP™ fixtures, one-meter long color-changing battens with 6-color LED multi-chips, used to light the pathway and as eye candy. Descanso Gardens is successfully creating a wintertime tradition on the U.S. West Coast. Tickets for the 2018 event were sold out and for the second year running “Enchanted Forest of Light” has received widespread acclaim. “Enchanted Forest of Light” ran from November 19 through January 7, 2018.